剛開咗 oepay. 當我按轉入, 輸入金額之後, 按確定, 就顯示我的帳戶無效. 請問知道原因嗎? 10000/6 *3 = 5000miles per month? 今日想由oepay轉去渣打, 佢忽然話bank transfer set-up is being processed….明明之前轉開, 2月頭都轉過無問題. 因為爸爸 & 媽媽自己有張8仔用緊 (爸爸#1, 媽媽#1), 我唔係同佢地一齊住, 所以佢地果張我就做唔到. 咁想問下爸爸or媽媽可唔可以出多1張係我張EarnMore做埋佢?? 請問oepay acc 到$5000 怎樣轉回銀行戶口? 麻煩講詳細些 , 我是第一次用oepay acc , 謝謝! 登記八達通 咭 不跟制, 一個AC玩全, DEL 登記自動轉賬, 再登記另一個. 請問東亞flyer world 卡，玩pay me ， 現在可以儲Asia miles? 2. O!epay a/c : 我張8達通A+我8達通B+老公8達通，如果將老公8達通 d 錢用 p2p 轉唔轉到入佢o!epay a/c or 一定要拍卡先可以入佢Oepay ? 1. 退還八達通、要吾要cancel AAVS or cancel automatically? 2. 東亞白金卡四大銭包邊個有分? 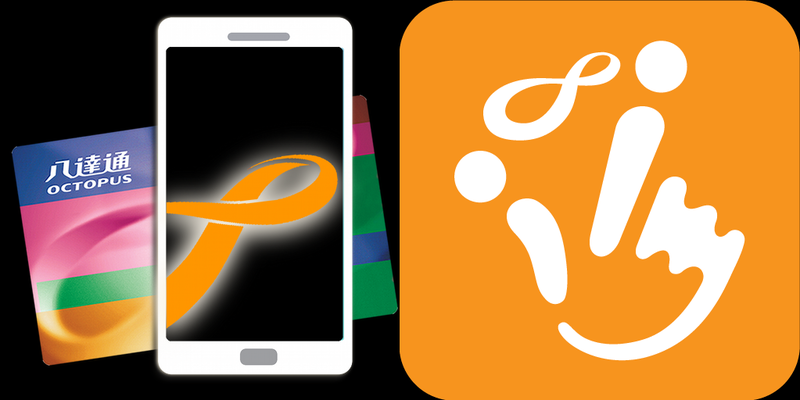 WeChat Pay, Alipay, Payme and Olepay! 唔好意思，我唔識計幾多里，係咪即係1.6%？（normal 0.4% + add’l 1.2%) Thanks. 你好， 如果我用八達通每日在oepay增值$500，一個月總數$15000， 之後再透過o epay分三次轉去paypal ($5000一次)， 再由paypal一次過轉$15000去我銀行戶口， 請問是不是就可以賺盡2,500里,，又不用手續費? All 八達通sss 都link 着 我唯一個olepay acount. Is this OK? and 我会否有更好earn mile / $$ 的方法? 請問用citi PM card 同東亞masterflyer 得吾得!有咩要注意? SC AM card has max 25000 per month for octopus recharge? be counted in the following calendar month. 要升做好易畀 Pro 用戶要住址證明,如果我由OEPAY轉番去中銀銀行(係用A地址開戶口的), 而用大新BA張VISA做八達通自動增值, 但申請BA是用(另一個B地址開咭,因為配合番BA個household account要地址相同), 那麼如果要比OEPAY做地址證明做好易畀 Pro 用戶, 應該提供A OR B 地址會好些, 因為唔知用來CHECK咩, 會否有CONFLICT呢! 而O! ePay只會登記呢張個人8達通去 轉錢 入 O! 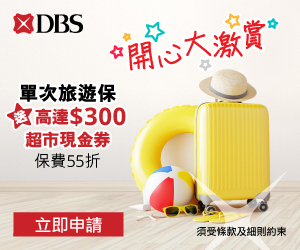 ePay, 請問咁樣會唔會2張8達通都可以儲到DBS DOLLARS? Q1. 如果我本身有一張citibank八達通, 我可唔可以令佢用另一張信用卡(例如SC AM)去做自動增值, 而唔係簽citibank張卡(因為$200先回$1好唔抵)? 係咪要向citibank申請廢左佢個自動增值功能? Q2. 另外, 將八達通D餘額轉晒去oepay戶口後, 使唔使一定要去搭車/買野先可以自動增值? 還是可以透過oepay的app自動增值(例如$0 > $500)? 另問$8/里 vs 1.5% cash rebate邊樣抵D? 謝謝!! 1. 可唔可以一個人2個oepay app / 2個oepay同1個人資料/銀行卡/電話/電話號碼 ? 我本身張8達通一向已經有自動增值的,是用大新BA 卡的. 但剛剛才知道可用O!ePay 賺多D里數. 我在「已登記八達通」加了我果8八達通, 但點解加完之後, 果張8達通後面沒有！。跟住我去「增值及轉賬」，再拉落去按「啟動自動增值服務」輸入晒身份證尾8位數未及出生日期再按啟動, 但無反應嘅 ? 如果target 係avios 或者AM, 咁0.5% 抵唔抵? 唔想比手續費， 用一張八達通喺自己oepay扣足1萬5千之後， 分別psp轉5千去另外兩個屋企人嘅oepay戶口， 各自轉5000入銀行， 咁得唔得? 有無風險被block? 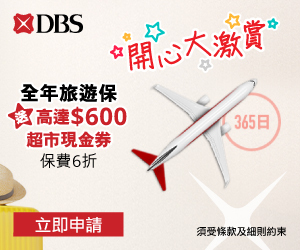 問題一 : 係唔係我已經有霸哂三個自己名八達通quota了 (dbs+primecredit+ccb) ?? 1。DBS Black World Master每次只可增值$250，我可以set allow佢一日增值超過一次（e.g. @$250 x2 = $500)? 我係咪完全唔使理佢架? 再玩落去 (終極版本 $500 x 30 x 6 張卡) 唔會被 block 八達通卡或 O! ePay account 架呢? 你好,請問用Citi PM card 做八達通自動增值 (O! ePay) 可唔可以照計迎新簽賬? 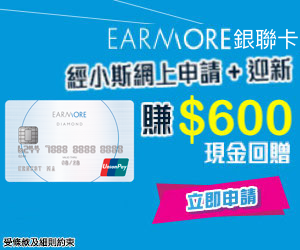 if I apply the 2 credit card of 信銀 at the same time online, can I still enjoy the welcome offer of both cards? Super thanks ! Wish you are having a great journey! 如果我唔想俾手續費, 係咪用一張八達通, 玩到5000, 就收手? 定係每一張八達通玩到5000? Eye wechat pay係3 or 15 / miles?